A father and son’s Sunday hunting spree has landed the son with a €1,500 fine, with the father let out on bail after pleading not guilty to breaching hunting and firearms regulations. Keith Joseph Mallia, 47, and his 20-year-old son Mario, from Għaxaq, were arrested by members of the Administrative Law Enforcement Unit, who were carrying out inspections in the area of the Santu Kristu Chapel at Għaxaq. Upon spotting the officers, the father had called out to his son to run away, prosecuting Inspector Colin Sheldon explained during the arraignment of the duo early on Monday afternoon. Inspector Sheldon said that earlier that day, the father and son had been spotted by the police in the company of the father’s father, out hunting. Spring hunting was permitted during those hours, the inspector explained. However, when the ALE officers returned towards 6.30pm, over six hours after hunting hours ended at midday, the father and son were allegedly once again out hunting, the former in possession of a Luigi Franchi type firearm registered under his father’s name. 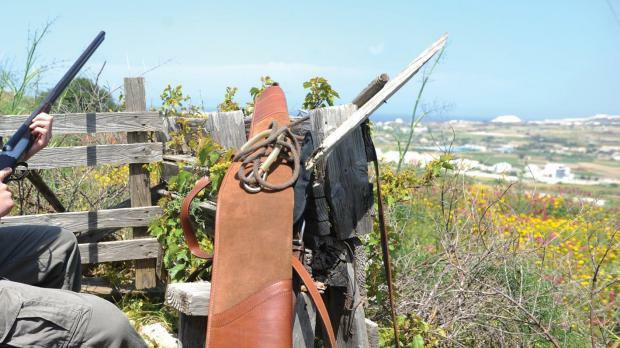 It was then that Mr Mallia had called out to his son, urging him to run away. The younger man was, however, caught up by police officers shortly after. During today’s arraignment, the father pleaded not guilty to having been allegedly out hunting during closed season, namely outside legal hours, having conspired to breach hunting regulations, having carried a firearm without the necessary licence and also with having breached the terms of his weapons licence. His son was separately charged with having conspired to breach hunting regulations and was handed a €1,500 fine payable within six months after admitting to his wrongdoing. The father was granted bail after the prosecution declared that it would not object, as long as opportune measures were taken by the court. For this reason, duty magistrate Doreen Clarke granted the man bail against a deposit of €200, a personal guarantee of €2,000 and ordered him to sign the bail book once a week. Moreover, the court strictly warned the man not to lay his hands on any of the long list of weapons registered under his father’s name. Last month, the father and son had landed a 55-month and 33-month jail term respectively after being found guilty of the attempted theft of machinery from a derelict Marsa factory. The two are currently awaiting the outcome of appeal proceedings.